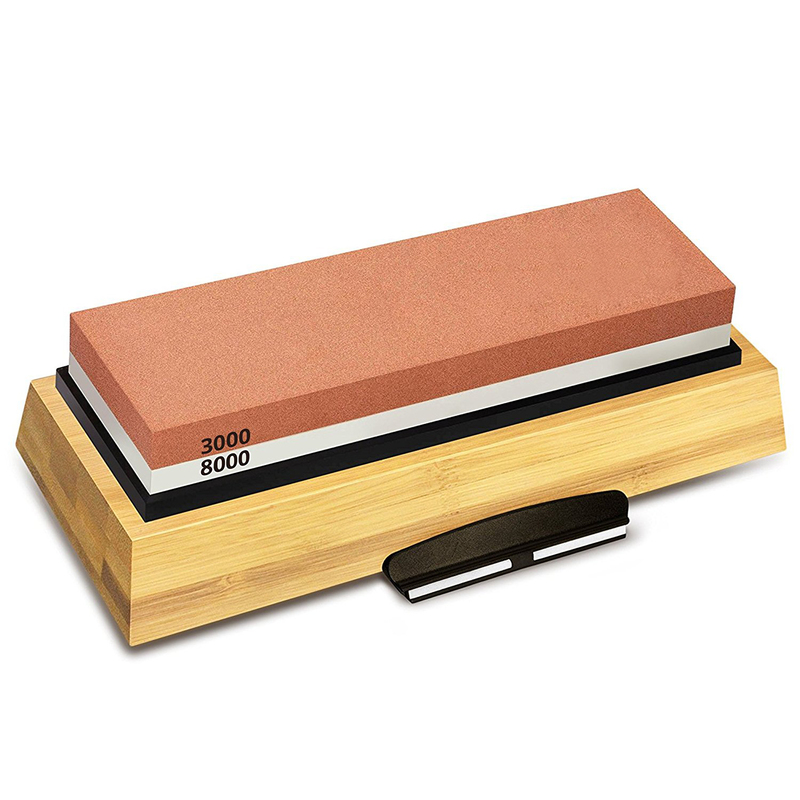 MULTIPURPOSE USE : Our professional grade knife sharpener stone is highly durable & long lasting. This global whetstone sharpener can sharpen any blade out there, be they kitchen knives and it is even a Hunting Knife Sharpener, Pocket Knife Sharpener, Scissor Sharpener, Chisel sharpener, Blade sharpener, Razor sharpener & it can even sharpen an axe! SAFETY : We understand the importance of safety when dealing with sharpening tools, your purchase comes with a Silicone base for holding the stone inside the Non Slip Bamboo base. This setup will ensure the stone is fixed in one place while sharpening. Also the knife sharpening angle guide allows you to maintain the correct angle and safely apply consistent pressure while sharpening the blade. 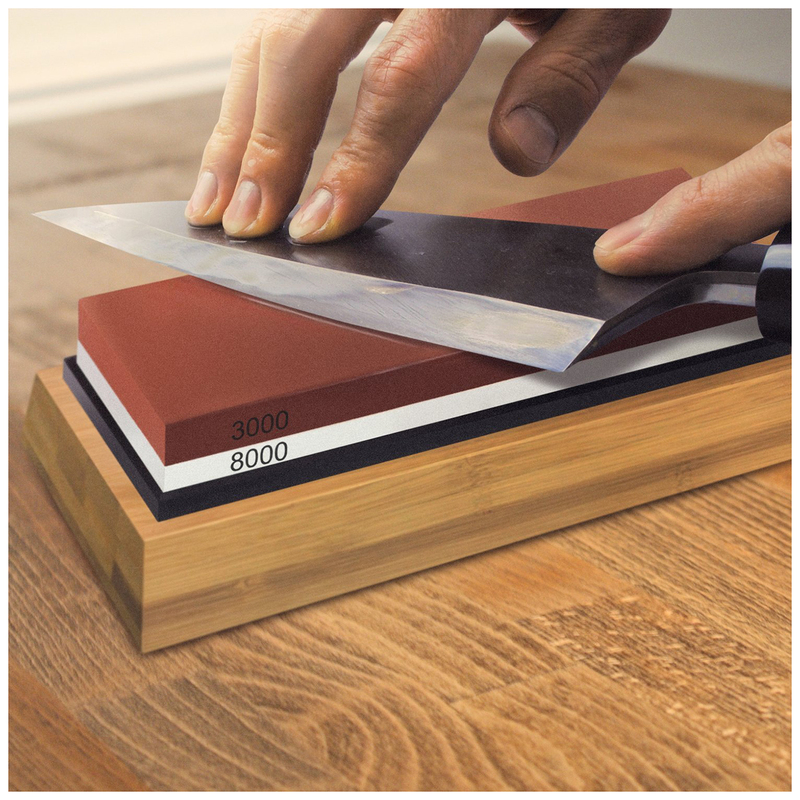 EASY TO USE : Our sharpening Waterstone kit is extremely user friendly & easy to assemble. 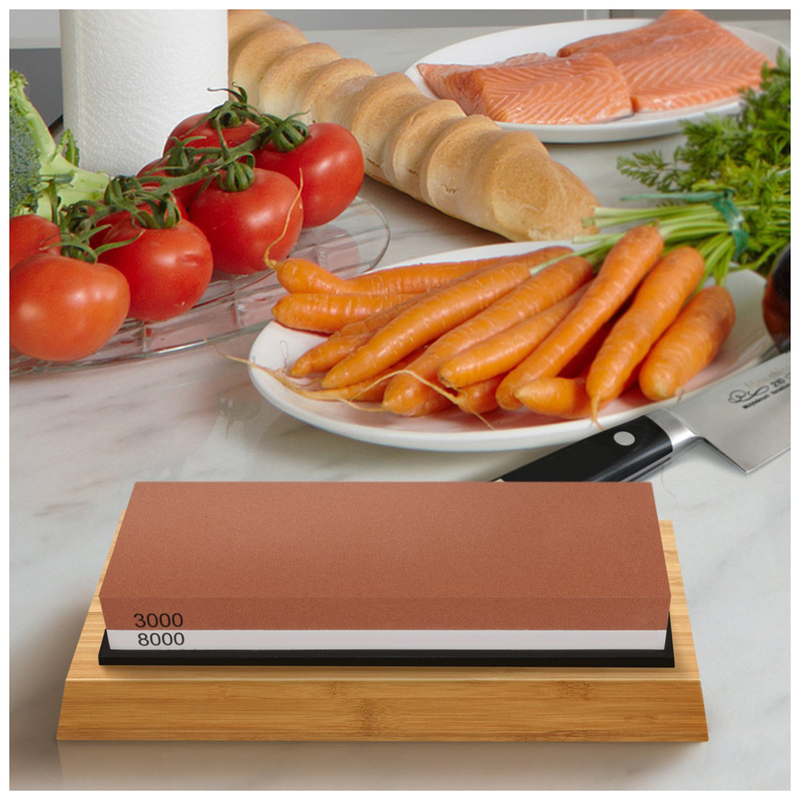 Knife sharpener stone uses Water for sharpening, so there is no need of expensive sharpening/honing oils and there is no mess while sharpening & it can be easily cleaned using Water. Slice through anything with ease and achieve the real precision of a pro when you have a truly razor-sharp knife, chisel, or axe. Made from White Corundum, so expensive oil is NOT required; just use some Water and you're good to go! The non-slip bamboo holder keeps everything secure so you never have to worry about it slipping off the counter.